I have another guest post for you! AND it’s from another one of my favorite, funny friends AND she just so happens to be besties with Rachel, who is today’s other guest poster (which was totally coincidence). And she and I have the same name. And so do our husbands. So, what I’m saying is, this post is meant to be. Jane and I scoured her company’s products and came up with this list of 7 amazing tabletop gifts that give back. (Click here to find out why Jane’s company To The Market is so awesome.) It’s time to spend money and make a difference! Also, there are a few sale items and a secret discount buried in the post below, so get reading, clicking and shopping! The name Jane is the best name ever. My friend other Jane and I both share it. This post is about how we met on Ancestory.com. From the table to the tree, the holiday cheer kit is a festive holiday accessory. These cute little holly leaves are exactly what your table needs for that extra pick-me-up! These are made by artisans in Mexico. This purchase helps the makers improve their lives, their children’s lives, and their communities through the dignity of work. 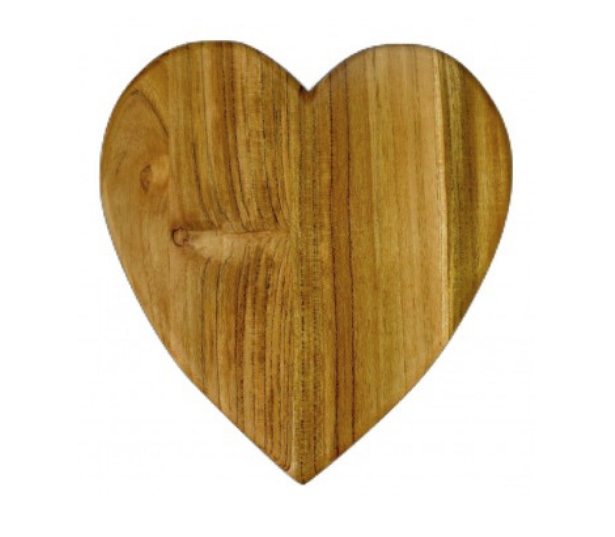 Who doesn’t love this heart shaped cutting board? Use it to cut your food on in the kitchen or to serve some tasty food during your holiday party! This was handmade in Guatemala and helps to employ vulnerable communities. 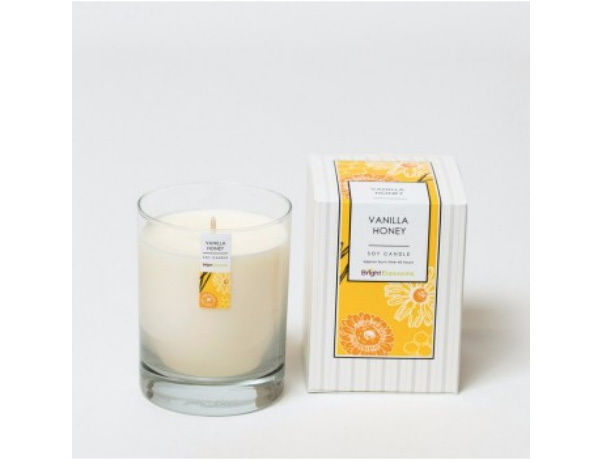 A warm scented candle is an essential during the cold winter months and vanilla honey is a classic. These hand poured soy glass candles are made by vulnerable women in Chicago. This candle helps a young mom provide for her children by giving her the confidence to chase her dreams. Simple yet chic, this table runner is a clean statement piece. Go for an even bigger statement and add a white vase with some fresh flowers! 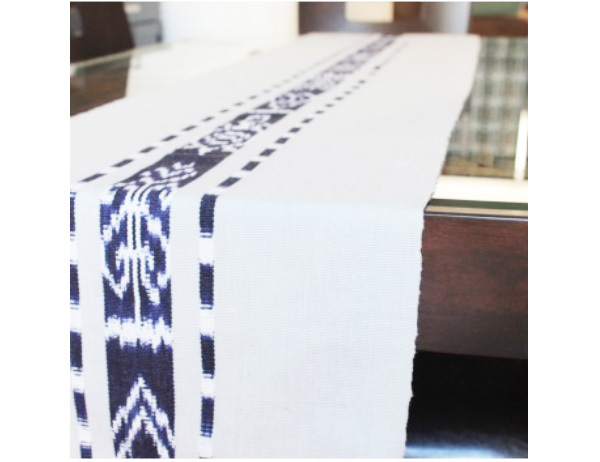 This table runner is carefully handwoven and naturally dyed in Guatemala. This purchase supports sustainable livelihoods and traditional weaving. Deep rich cranberry is such a lovely color for this time of year and this placemat and napkin set will make your tableware pop! This is truly a unique set that you won’t be able to find anywhere else. Your dinner guests are guaranteed to love the detail of this sari napkin and placemat set made by women in India. A purchase of this table set helps women rediscover their dignity, independence, and creativity in a financially rewarding way. 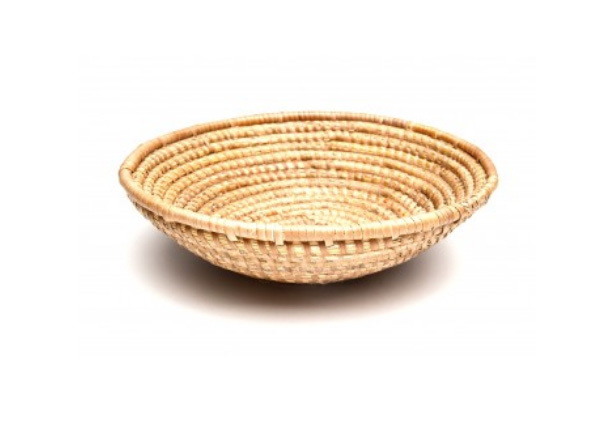 This small basket can hold anything from fruit to bread to popcorn! This light neutral is not only a safe bet for the holidays, but it can be used year round for all kinds of gatherings. This basket is named after the sweet woman who makes it! She’s an uneducated HIV+ widow. Since becoming involved in basket weaving, her outlook has improved. She wants you to know “I love you very much. I reach out to say thank you for buying.” We love her too! Made in Kenya, this hand-painted bottle opener is an ideal hostess gift for your favorite bartender. Pattern design vary for each piece, making this truly one of a kind! Oh lÃ lÃ , Bonne Maman! This giveaway is now closed, but keep reading to learn more about Bonne Maman and to see the winner! Oh, and did I mention how wonderfully re-useable the jars are? 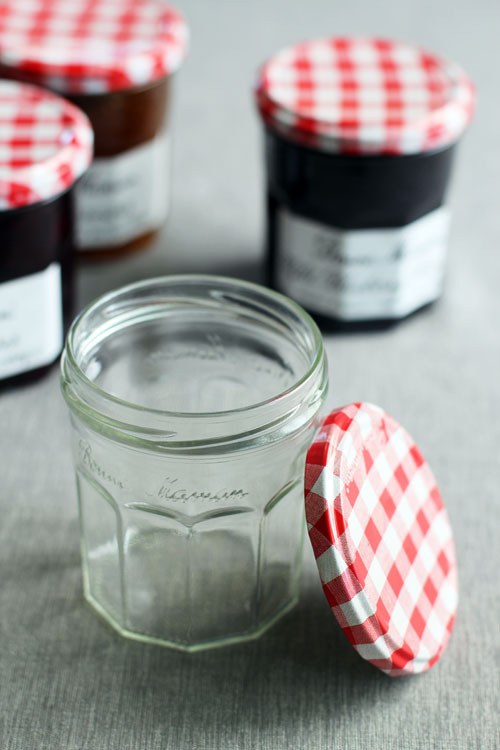 When you’re done with the jam, just pop the jar and lid in the dishwasher. The label falls off in one piece during the wash and the jar is high quality. Of course Bonne Maman is part of my Gifts & Giveaways series! Bonne Maman makes for a great holiday gift. 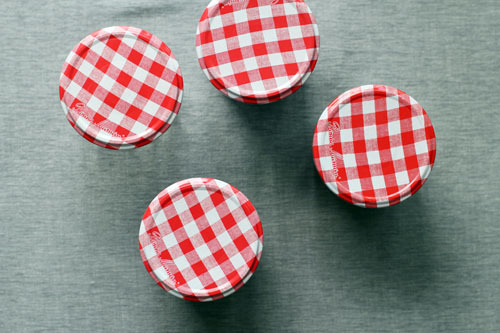 The jars are already so cute, all you have to do is tie a pretty ribbon around it and you’re done! You can also readily find Bonne Maman in many grocery stores and markets across the U.S. In addition to being a great holiday gift idea, Bonne Maman also makes for a lovely blog giveaway, don’t you think? 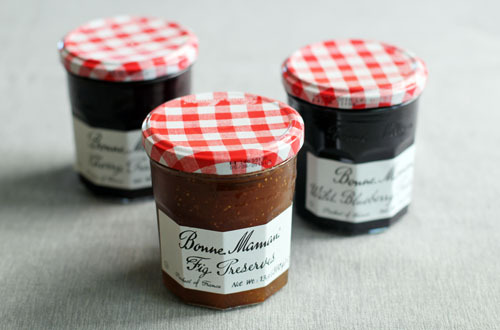 One of you lucky people will win a collection of four Bonne Maman products! Simply leave a comment, any comment, on this post! That’s it! Although if you want to share your favorite flavor of jam, that would be fun! The randomly-selected winner of this giveaway was Comment #125 Nikki CB, who said, “Raspberry is so delicious. I don’t believe I’ve ever tasted Bonne Maman – that would be great!” Congratulations, Nikki! Now you’ll get a lot of tastes of Bonne Maman! Thank you to Bonne Maman for providing me with some well-loved samples and sponsoring this giveaway. As always, opinions expressed are 100% my own. This giveaway is now closed, but keep reading for a great recipe! I’ve decided this year I’m going to make a lot of our food for Thanksgiving ahead of time. So, this week I’m going to get cooking and freeze it all so that we can really enjoy our time with family next week. To kick off the flurry of pre-Thanksgiving cooking I made homemade cranberry sauce! I’ve said it before and I’ll say it again, one of the best parts of blogging has been building relationships with wonderful, amazing people from all over the country. One of those people is Ree Drummond, The Pioneer Woman. Ree is pure kindness and I am thankful to know her! As you may know, Ree just came out with another fun and colorful cookbook, The Pioneer Woman Cooks: A Year of Holidays. I decided since Thanksgiving is right around the corner I should check out the Thanksgiving section of her book, which is chockfull of homemade goodness, including several different kinds of stuffing. I decided to make the cranberry sauce because, well, we need some for next week! The recipe is delicious and very simple to throw together. So simple, in fact, I forgot I was cooking the sauce. Like, as I was typing this paragraph and I started typing the word “cranberry sauce” it reminded me that I was simmering the sauce on the stove for quite some time and had to stop typing immediately and run to the kitchen to save the sauce from certain destruction. 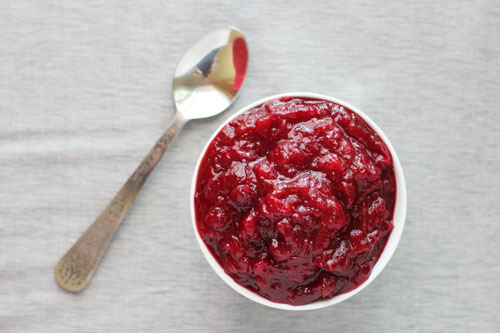 Crisis averted, cranberry sauce is a-okay! So, in addition to being delicious and easy, this sauce is also indestructible! 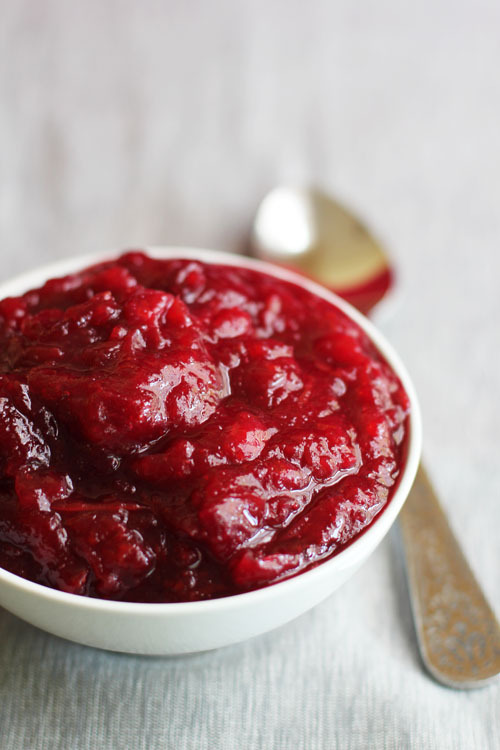 The cranberry sauce and the book are both great, which is just what I would expect from Ree! And today I get to give away her wonderful book! 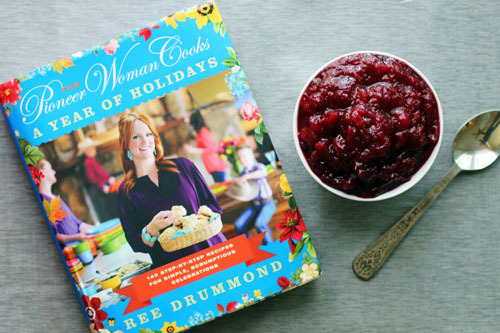 THREE of you lucky people will win a SIGNED copy of Ree’s new book The Pioneer Woman Cooks: A Year of Holidays. 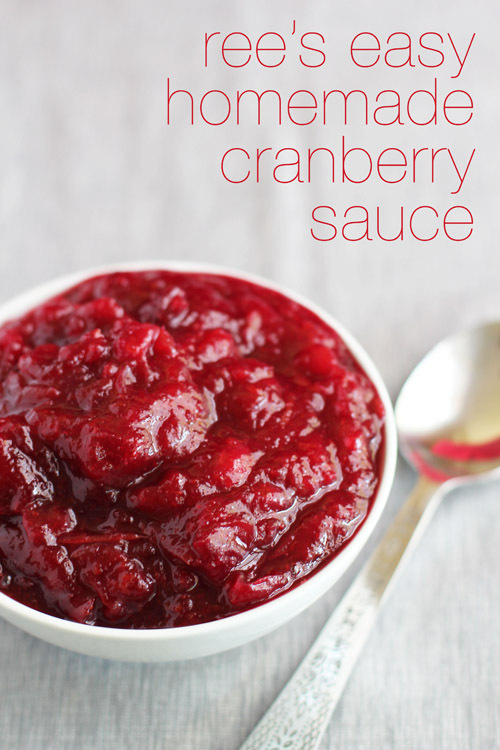 To wrap things up, here is the recipe for Ree’s Easy Homemade Cranberry Sauce. Enjoy! Rinse the cranberries under cold water. Zest the oranges. Add the cranberries and zest to a medium saucepan. Squeeze the juice from both oranges into the saucepan. Add the maple syrup and stir it all together. Bring to a gentle boil over medium heat. Reduce heat to low and simmer for 10 to 15 minutes, until it’s nice and thick. If the sauce still seems a little thin, just simmer longer until it’s the right consistency. Introducing “Gifts & Giveaways” for Some Holiday Fun! Since it’s the season of giving, it’s time to talk gift ideas! I have oodles of fun things to share with you and a whole slew of giveaways I’ll be hosting over the next few weeks. We will be kicking off Gifts and Giveaways with some fabulous cookbooks. Stay tuned, it’s going to be fun!